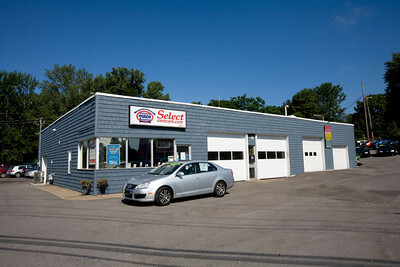 Select EuroCars, Inc. is a 38-year Independent Specialist in Volkswagen/Audi Automobiles. Open seven days a week. Certified Master Dealer having sold more than 7,900 cars. Audi Expert and ASE Master Technicians with latest VW/Audi test equipment, special service tools, bulletins and parts. From repairing boats in Junior High to performing clutch repair on a vehicle he was not yet licensed to drive, Joel Osserman was quickly developing as a businessman. Attending a high school of 2,700 students, a business of locating Auto Parts and Service of cars grew too large for home. Joel's first car, in fact, was an Audi! 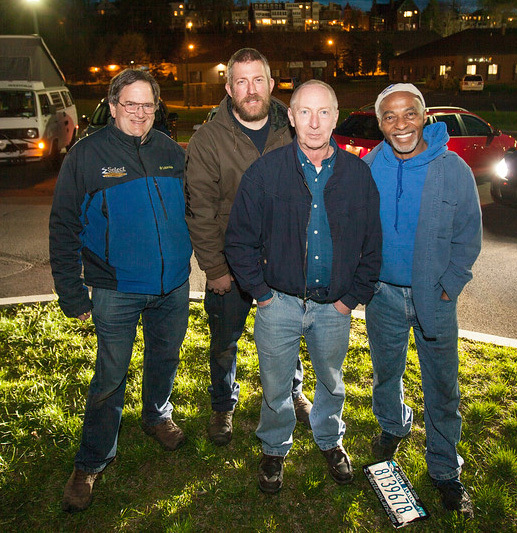 With friends interested in improving their automobiles, business followed Joel to Hobart College and in 1980 and a shared barn off of North Street, Geneva NY became a viable import car repair business. After two outstanding years at Hobart College, business growth took over all of Joel's time. Taking a year off, Joel sold his personal car and took an old Volkswagen Rabbit (Volkswagen Golf I outside North America) in trade. The Volkswagen was serviced easily, one satisfied buyer led to another and shortly after returning to Hobart, the local VW dealership closed. After negotiating a creative lease this twenty year old was suddenly in the former Volkswagen Dealership location on Bean's Hill, Geneva. A staff of seven (including several prior Volkswagen or Audi Dealership techs) performed great volumes of sales of "Reconditioned Rabbits" and a Volkswagen and Audi service customer base of several thousand was quickly developed. March 1985, while driving a Volkswagen, Joel was seriously injured in a Fatal Motor Vehicle Accident but with the help of God, friends, family and limited staff was able to continue and even added an Auto Rental franchise. Married to a satisfied customer and with a child due, Select Transportation -- Which was later coined Select EuroCars, inc. moved a short distance to our current location on Routes 5 & 20 Waterloo. 1985-2001 Select EuroCars, inc. was one of the top ten buyers of VW and Audi off lease in the USA and in 1993 was the fourth largest buyer of off lease Volkswagen and Audi. Sales have continued to grow as satisfied Volkswagen and Audi customers return with their friends and family.One customer has purchased nine Select EuroCars, inc. off lease Volkswagen and Audi and many others have purchased five, six or seven Volkswagen and Audi from Select EuroCars, inc. Select EuroCars, inc. works very hard to fill the need of each customer remembering that each customer starts with a first contact and purchase. Select EuroCars, inc. has invested in top technicians, Factory Service Documentation, Special tools/test equipment and one of the largest selections of off lease VW and Audi for sale in the country rather than an elaborate showroom and a team of salespeople. Further efforts to make information on our firm available to consumers led to development of this web site over ten years ago. Continuous effort in making current information available to consumers was awarded January 2000 at the National Automobile Dealers Association Convention where we were honored for having the "Best Pre-Owned Dealer Web Site"!!! December 8, 2000 marked the next step in our Web Site Development. We are now including record of the repairs Select EuroCars, inc. performed on vehicles in pre-sale preparation. Carfax reports, already performed at our expense, are offered to Volkswagen and Audi consumers without charge. These reports are run and stored at the time we purchase our Volkswagen and Audi vehicles. Carfax updates it reports daily so consumers may still wish to run their own report as they consider our Volkswagen, Audi and other Automobiles. A customer survey page has been added along with sample finance terms, and a Service Appointment page for Volkswagen and Audi customers should further aid our consumers. September 1, 2004 SelectEuroCars, inc. received a building permit, after a long battle, for a Showroom/Sales Office at our Waterloo location. Our url www.SelectEuroCars.com has once again been reworked to aid our customers and we now enjoy hosting (well...being a stop along the way!) for the Finger Lakes VW Club trek to Watkins Glen!!! February 2005 Select EuroCars, inc. transferred operation of our url to MVINTECH.com. Simply put, we have committed ourselves to offering the best automobiles and service of same. Web technology continues to advance and now those who visit our site can take advantage of current technology. November 2007 Joel Osserman attended a program of Northwood University and has been accredited as a Certified Master Dealer®. These dealers strive to uphold the highest of business practices. They comply with all laws and regulations. Their customers (you the consumer) are their priority and their business goal is to attain success through customer satisfaction. This satisfaction is gained by listening to each customer and responding to the needs of that customer ethically, sensitively, and professionally. May 2008, our facility has been beautified with new vinyl cedar shake siding and more importantly, we have tripled the size of our office! Customers can now relax in our Leather Theater Chairs with cup holders, enjoy our Central Air Conditioning and heating. Wireless high speed internet is provided for customers work or play. Our bathroom has been remodeled for inside access :) Even our parts room size has been tripled. We continue to enjoy hosting (well...being a stop along the way!) for the Finger Lakes VW Club trek to Watkins Glen!!! April 2011, construction is complete and we have added a Keurig Coffee Bar, moved the service counter back ~ fifteen feet greatly adding to the free space for our customers! Select EuroCars, inc. is honored to become a BoschCarService.us Service Center! When looking for a service center to maintain or repair your car, you have many choices. There's the new car dealership, your local oil change, muffler or transmission shop, and many independent garages. With all of those choices, why go to a Bosch Car Service center? Bosch Car Service centers are the very best of independently-owned service centers. To qualify for membership, each service center must pass a rigorous certification process, based on technical skill, customer service, and facility design and appearance. Many of our service centers specialize in the repair of certain vehicle brands, so our service center locators request the vehicle brand you are driving. Since quality repairs start with quality parts, www.SelectEuroCars.com the best replacement parts from Bosch, the largest original-equipment parts manufacturer in the world. To keep the quality of the Bosch Car Service Center Network as strong as possible, an outside company inspects each service center, using both pre-arranged audits and surprise inspections. The detailed results are analyzed to then develop ongoing training. To remain in the network, our service centers must maintain the highest levels of technical ability and customer satisfaction. Think of BoschCarService.us as a stress reliever. Bring your vehicle to www.SelectEuroCars.com and experience the Bosch Car Service program. Stress relief for you, your vehicle and your family.